The Orcas Food Co-op, the Funhouse and The Exchange are teaming up to start an exciting plastic recycling project. A generous local donor purchased the equipment needed to grind up plant-based plastics (PLA), heat it, and extrude it into a plastic filament that is feedstock for 3D printers. We have started collecting the PLA utensils and cups from the Co-op deli this month, and hope to start providing free 3D printer feedstock to the Funhouse soon—where they are working on creating a kids 3D printing program! 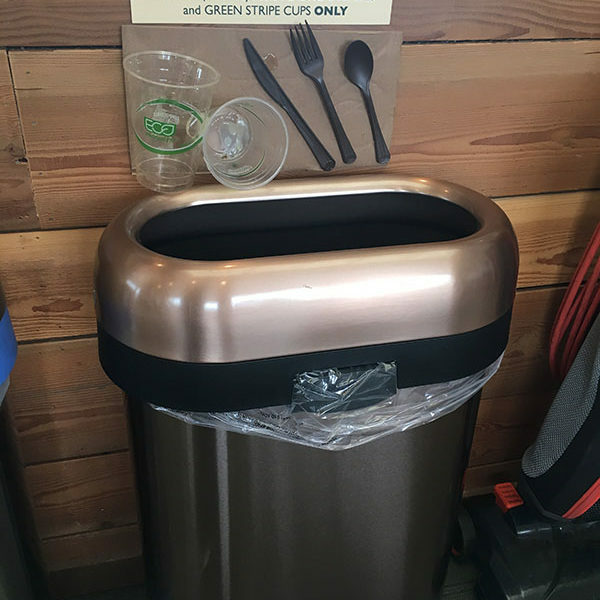 Go get lunch at the Co-op, and be sure to deposit your disposable utensils in the dedicated garbage can upstairs in the loft. It will get to The Exchange, be cleaned, ground-up, extruded, and the recycled filament will go to the Funhouse to kids create 3D imagery!